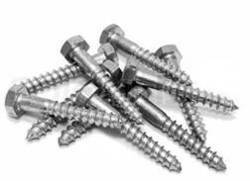 An exclusive range of Stainless Steel Screws is offered by us to meet the increasing demands of the market. These are made from high quality stainless steel and is been procured from trusted manufacturer. Our range of product is available at market leading prices and is famous among the customers for its supreme quality, durability, sturdy construction, corrosion resistance and reliability. Our company offers a broad range of superior quality Monel Screws, which is obtained from trusted manufacturers of the market. 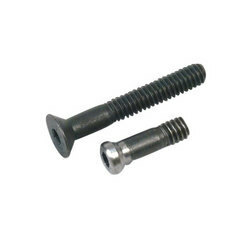 range of our product includes Pan Head Slotted Screws, Hexagon Head Screws, Cheese Head Slotted Screws, Countersunk Head Slotted Screws, Countersunk Raised Head Slotted Screws, Pan Phillipse Head Screws and Countersunk Phillipse Raised Head Screws. Backed with the latest technology, we offer a distinctive range of Inconel Screws. These are well tested by industrial experts on various parameters to ensure its international standard quality, durability, sturdy construction and reliability. We offer these to our respected customers at industry leading prices and within a time stipulation. We are engaged in offering a unique range of Alloy 20 Screws that is sourced from certified and trusted manufacturer to ensure its industrial quality standards. These widely find its application in various industries across the world for its smooth performance and long serving life. We offer these to our respected customers at market leading prices and as per their requirements. 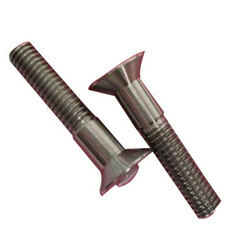 A wide range of superior quality Duplex Steel Screws is offered by us for our esteemed clients. Range of our product includes Pan Head Slotted Screws, Hexagon Head Screws, Cheese Head Slotted Screws, Countersunk Head Slotted Screws, Countersunk Raised Head Slotted Screws, Pan Phillipse Head Screws, Countersunk Phillipse Raised Head Screws and 32750 end cap. 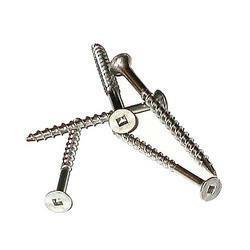 We are trusted wholesaler and exporter of wide range of premium quality Titanium Screws. These widely find its applications in various industries and are used in the nautical field and in the sailing sector for their mechanical resistance, nonmagnetic properties, lightness and anti corrosion. Our range of product is available as per the specifications and requirements of our respected clients and at affordable prices. We offer a wide assortment of premium quality Nickel Alloy Screws that is highly demanded in various industries across the world. These are appreciated for its various features that include Durability, Corrosion resistance, Dimensional accuracy and Sturdy construction. Our range of product is supplied at competitive prices and within a time frame been assign to us by our customers. 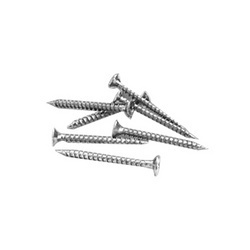 We are one of the trusted exporter and wholesaler of a superior range of Hastelloy Screws. These are available under various grades that include Hastelloy C-4 (UNS No. N06455), C-276 (UNS No. N10276), Hastelloy C 22 (UNS No. N06022) and Hastelloy C 2000. 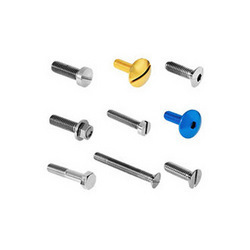 Different range of our product includes Pan Head Slotted Screws, Hexagon Head Screws, Cheese Head Slotted Screws, Countersunk Head Slotted Screws, Countersunk Raised Head Slotted Screws, Pan Phillipse Head Screws and Countersunk Phillipse Raised Head Screws. 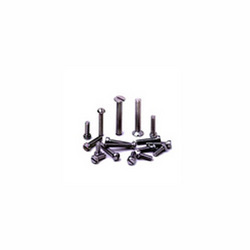 We provide a wide assortment of Cupro Nickel Screws that is fabricated using high class raw material and complying with international quality standards. These are procured from trusted and certified manufacturers of the market to ensure its durability, supreme quality, sturdy construction and dimensional accuracy. We offer these at affordable prices to our clients.